As medical tourism grows to become a worldwide phenomenon, increasing attention is being paid to issues such as quality of treatment, accreditation of surgeons and dentists, hospitals and clinics. Sometimes these issues are raised by patients, and sometimes by professional bodies such as associations representing doctors, dentists and cosmetic surgeons. At Treatment Abroad, we are aware of these concerns and are keen to reinforce the standards which the medical tourism industry is gradually adopting. 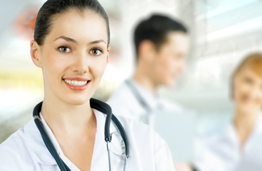 We therefore operate a “Code of Practice for Medical Tourism”. You can view companies and providers that have adopted the Code of Practice. The code is voluntary. We ask our clients to comply with the Treatment Abroad Code of Practice, and to self certify through a self assessment process, examining compliance with the code. The application is then reviewed and approved or declined by external assessors. Be able to display the Treatment Abroad Code of Practice logo on their web site and marketing materials. An overview of the Treatment Abroad “Code of Practice for Medical Tourism” and an application form can be requested via the Treatment Abroad Enquiry Form. If you are a patient, medical tourism agency or healthcare provider, we would welcome your input and comments on this initiative.